Targa lovers, that's your cue. 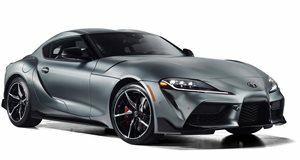 Following its American debut at Detroit in January, the new Toyota Supra enjoyed its maiden European appearance at Geneva to generally positive feedback. While some are still not entirely sold on the exterior styling, everyone's excited by the coupe’s claimed driving and performance capabilities thanks to its track-tuned suspension and turbocharged inline-six engine. The new turnkey, track-only Supra GT4, for example, promises to be an incredible experience. We caught up with Tada-san, chief test driver for the Supra program, at the Swiss show and asked what areas he still thinks are in need of some refinement. When it comes to potential body style derivatives, like a targa in the spirit of the legendary fourth generation Supra, Tada-san and his team would obviously be required to make many necessary adjustments. And speaking of a targa top, we asked Tada-san whether this is something Toyota has planned at some point during the Supra’s projected long life (hint: the Toyota 86/Subaru BRZ have been around for nearly eight years). "Although we receive requests from customers for an open version or a targa top, the reason why we decided on the coupe is because we can achieve the highest rigidity and lightest weight. But if we receive enough requests for a targa version then we will raise (the idea),” Tada-san said. For the record, this writer immediately raised his hand. Tada-san laughed, nodded, and took note. We hope there are more hand raisers out there.